Specially designed for our Cookie Warmer Program, the Bulk Cookie is perfect for foodservice use. The 1.25 oz. 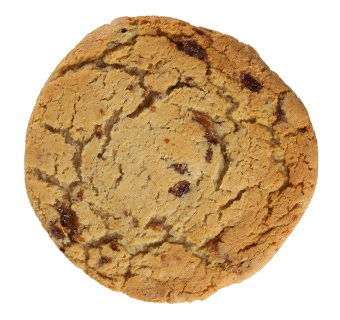 Oatmeal Raisin cookie will literally melt in your mouth when served warm. Warmer bags shipped with cookies. The Bulk Cookie is the perfect size for bakery cases and warmers, and provides a cost-effective solution for both breakfast and snacking dayparts. Bulk packed for foodservice use, these items provide the value you need and the gourmet taste your customers desire. Perfect for warmers―Check out our Selling is Simple section on our website for more information about our Warmer Program. Pre-printed Warmer Bags packed with product for smart merchandising. 48 Bags/cs.